‘When you wear a hat, you become the dream that started when the hat was conceived. The original energy that was put into the hat doesn’t die; it only changes forms and owners. This is incredible! Love how the molding paste created such wonderful texture. 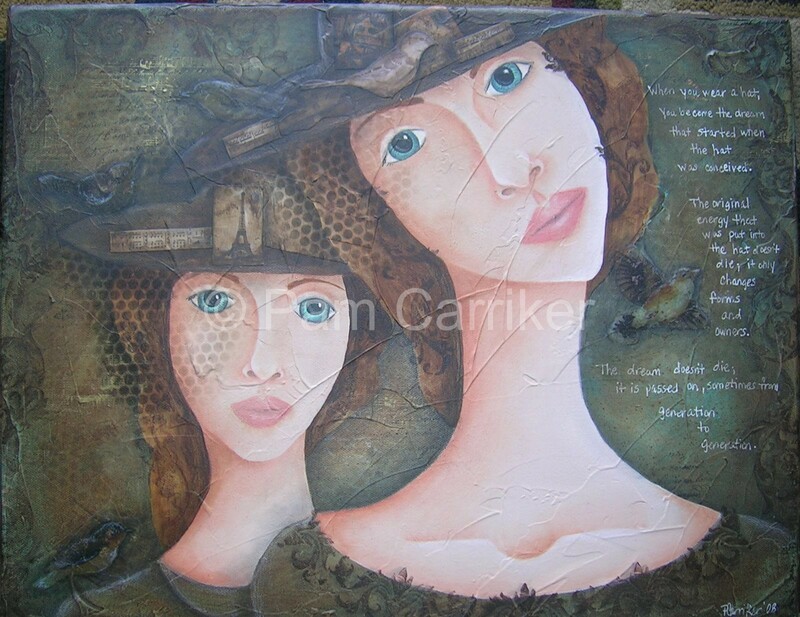 It looks like there is so many hidden treasures within the portrait–you did a fantastic job! 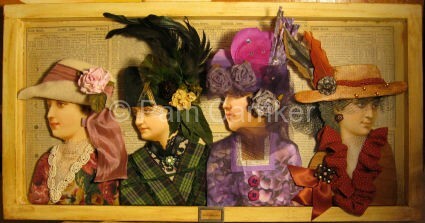 Pam, love your blog and your art work. I just saw what you did for Gail Schmidt and it’s fabulous…and then hasn’t she done a gorgeous banner for you?! Lovely! 🙂 I was in an antique store yesterday trying on hats. I LOVE them, but once they go on my head, look absolutely ridiculous. Wouldn’t it be great if everyone wore hats again?! Maybe then, I wouldn’t feel so silly! It’s fantastic! You’re such an inspiration. Oooooo Pam….You chose a great piece from Etta! It’s lovely!And I Love your response piece, very detailed, great colors, Fabulous!!! !